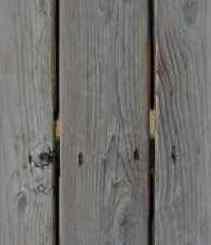 BEST TIME TO VISIT: Nov thru mar COMMENTS: Few people. 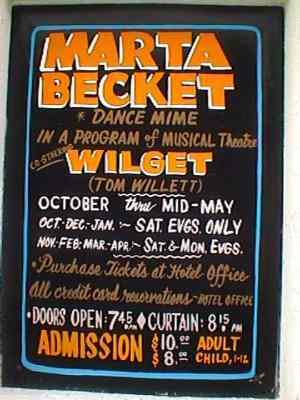 Go from baker to death valley located about two thirds the way.Marta becketts opera house. 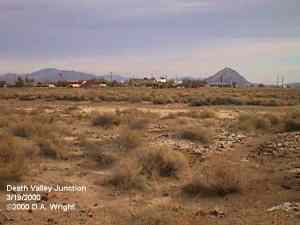 View of Death Valley Junction from north. March 19, 2000. D.A. Wright photo. 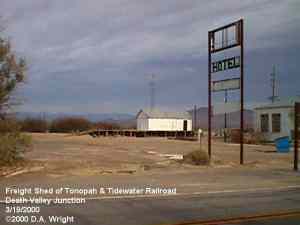 An old freight shed of the former Tonopah & Tidewater Railroad. March 19, 2000. D.A. Wright photo. Death Valley Junction. March 19, 2000. D.A. Wright photo. 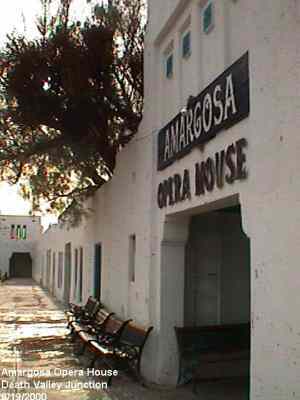 Amargosa Opera House. This is located on one end of the wing of the former borax company office complex. 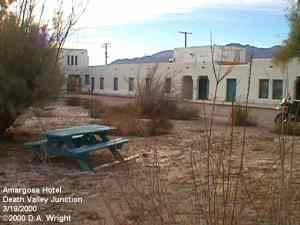 Marta Becket, a former New York City ballet dancer, per chance drove through Death Valley Junction in the 1960s and stayed. Ever since she has danced to audiences of none, one and packed houses. March 19, 2000. D.A. Wright photo. 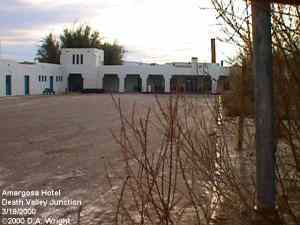 Amargosa Hotel. This was once the large office complex of U.S. Borax during their operational days at nearby Ryan. March 19, 2000. D.A. Wright photo. Another view of the Opera House. March 19, 2000. D.A. Wright photo. 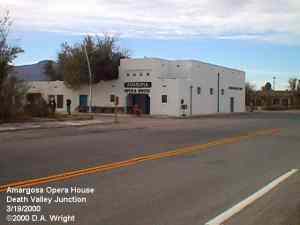 Marquis of the Death Valley Opera House. March 19, 2000. D.A. Wright photo.